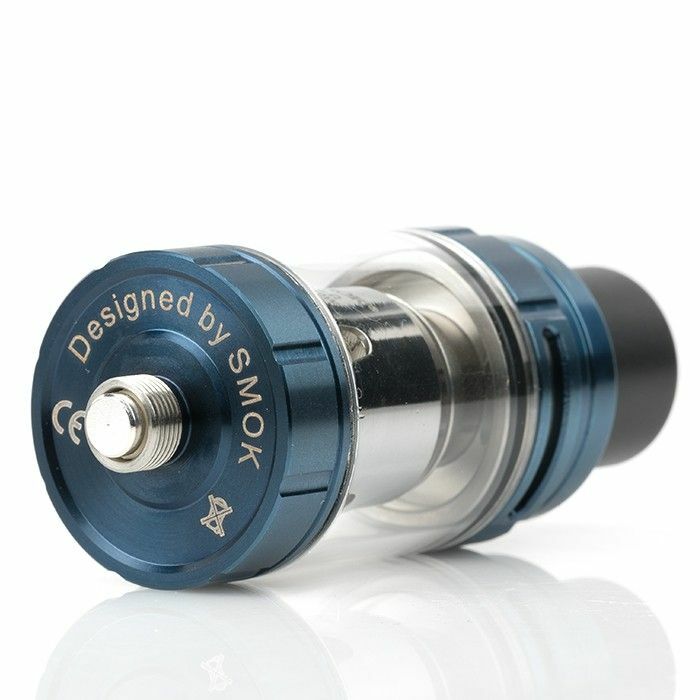 SMOK is well known in the vaping community for producing some fantastic vaping products. The TFV8 X-Baby is no exception! 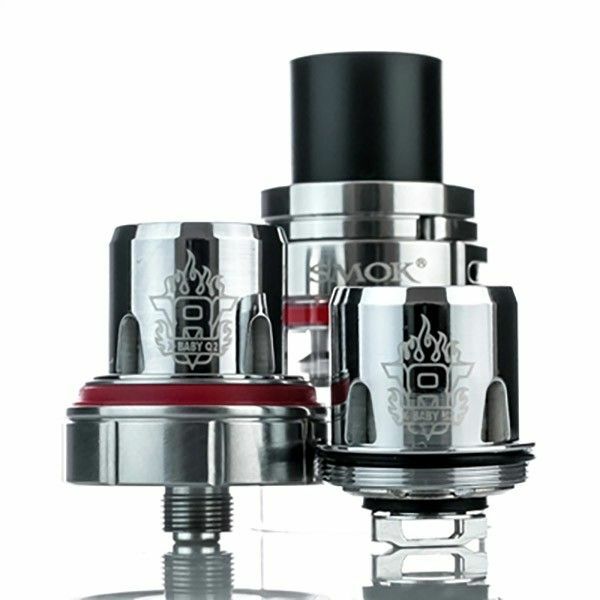 The TFV8 X-Baby takes what SMOK learned from previous tanks and improved on them! 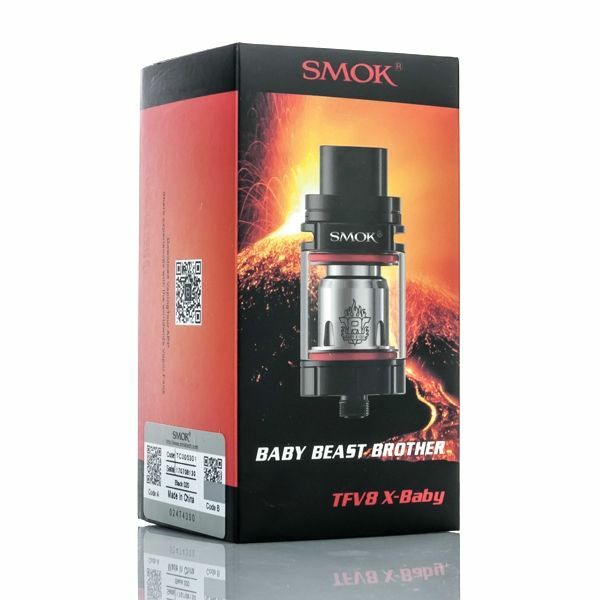 The TFV8 X-Baby tank is based off the popular TFV4, taking those great features and then improving them. The TFV8 X-Baby features an engineered top airflow system, upgraded coil system, upgraded tank filling, and a larger tank capacity. The TFV8 X-Baby has the fantastic dual cyclops top adjustable airflow. This allows you to adjust your airflow to suit your vaping style. You’ll be able to find your vaping ‘sweet spot.’ The airflow adjustment is located at the top of the TFV8 X-Baby, which helps to prevent any e-liquid leakage through the air holes. 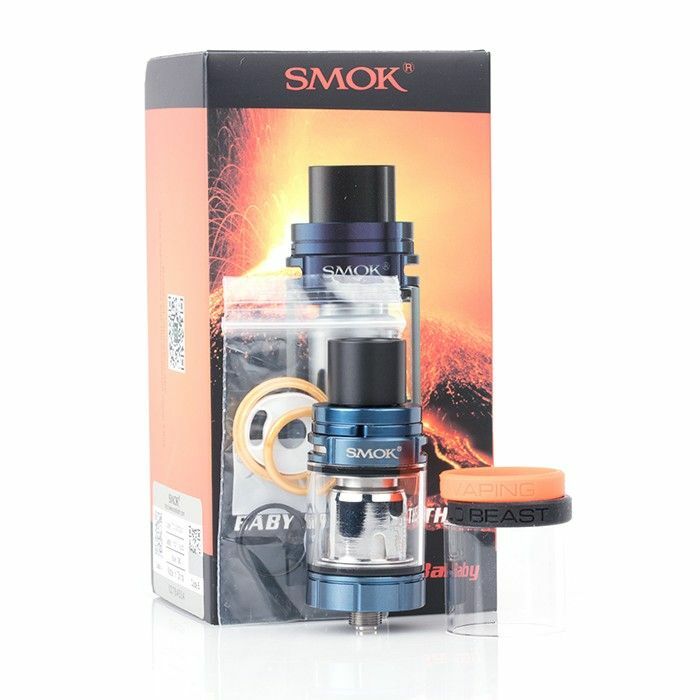 SMOK has also enlarged the center chimney on the TFV8 X-Baby. The enlarged center chimney allows more air to travel up through the tank without restriction. 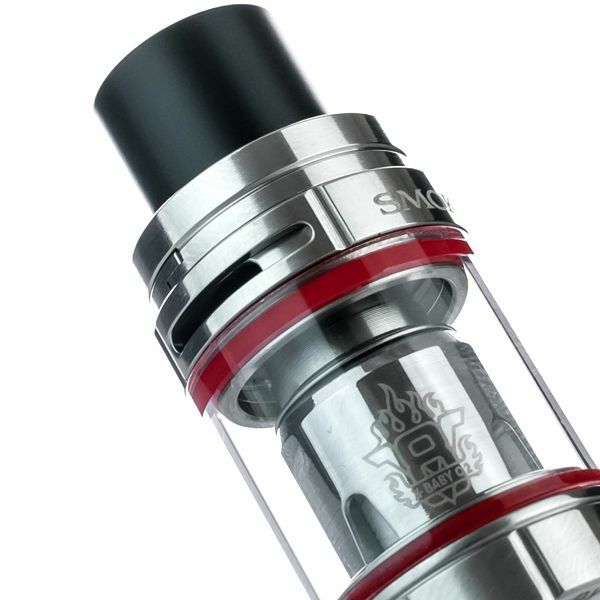 The TFV8 X-Baby also features a top swivel system for easy filling of the tank. The design of the filling system is the same, but they have increased the size of the filling port on the TFV8 X-Baby. This means no more spillage or mess of e-liquid while you’re trying to fill your tank. 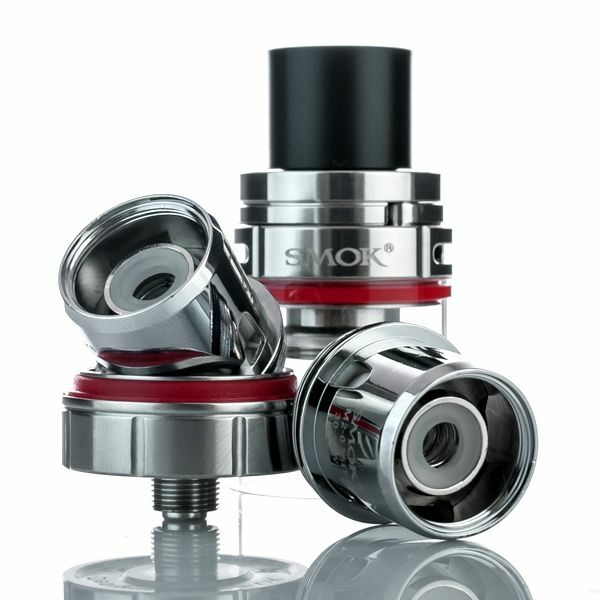 SMOK has definitely released another hit product with the TFV8 X-Baby! 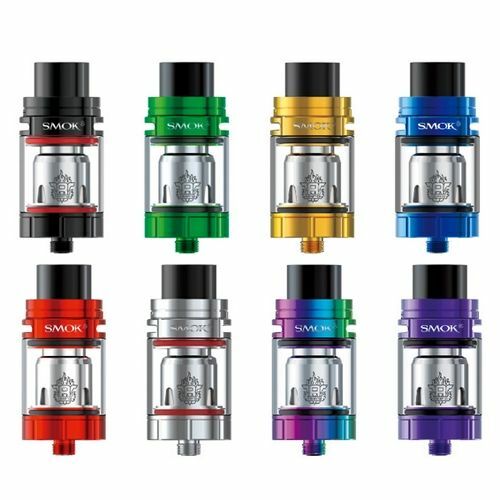 One of the most popular sub-ohm tanks available on the market! If you’re thinking of getting a new tank, then the TFV8 X-Baby Tank will have you throwing out some massive clouds!